January is National Blood Donor Month, meant to promote blood donation during what has proven to be the most difficult time of year to recruit donors. Holidays can be busy and distracting, and people tend to get sick in the winter. Bad weather is doubly disadvantageous, because it causes icy roads and unsafe conditions that result in an increase in traumatic injuries requiring donated blood, but it also forces the cancellations of many blood drives. Blood donation saves lives. Victims of disasters and accidents, cancer patients, children with severe anemia, and women with pregnancy complications are some of the people who need blood transfusions and count on those who can donate. The American Red Cross reports that every two seconds, someone in the United States requires a blood transfusion. Unfortunately, it’s estimated that only 38 percent of the U.S. population is eligible to donate at any given time, with only 10 percent of that population actually donating blood each year. 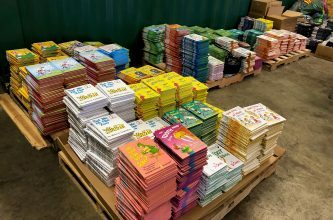 While not everyone is eligible to donate, you can still do your part by taking a page out of the book of GFWC clubs who sponsor or host blood drives! 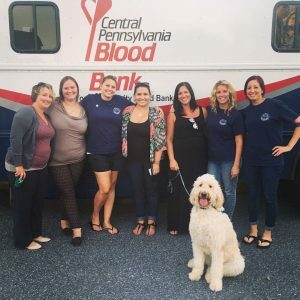 The GFWC Cumberland Valley Pups (Pennsylvania) have hosted blood drives since 2011, partnering with the Central Pennsylvania Blood Bank, which produces flyers for the club to post in public places. This is important to the club because they know promotion of the blood drive is critical to its success. 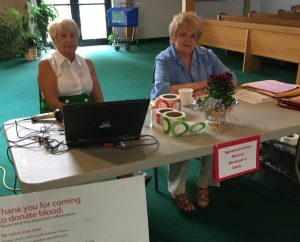 Club members volunteer to assist donors with paperwork and provide refreshments while they wait to give blood. They also post their mission statement and previous club projects so that their event might recruit some interested people along the way. A total of 27 people came to their 2016 blood drive, 18 of them able to donate, and it benefitted over 54 people! In 2017, only 12 people attended, half as many as usual. The club says this is because they took for granted that the event “sold itself” in the past, and assumed past donors would continue to show up. This made the club realize the importance of giving each member a goal for getting people to commit to the blood drive in order for it to be successful. 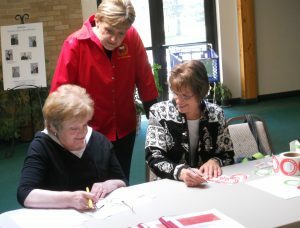 The GFWC Amery Woman’s Club (Wisconsin) has assisted with and held blood drives for 52 years! It has grown to a two-day blood drive in the spring and fall each year. The club promotes them all over town, calls prospective donors to schedule appointments, inputs those appointments onto the Red Cross website, and sends out reminder postcards. Members help donors sign in, serve homemade cookies, drinks, and donated snacks, and provide casseroles and salads for lunch for the Red Cross employees. After the blood drive, they write thank you letters, and write to an editor of the paper to share how many units of blood were collected and to thank the community for its support. Thoughtful touches like that help ensure people will return. If your club is looking for a new project, consider hosting a blood drive! Hospitals are always in need of blood, so every person who donates is helping making sure supply meets the demand.